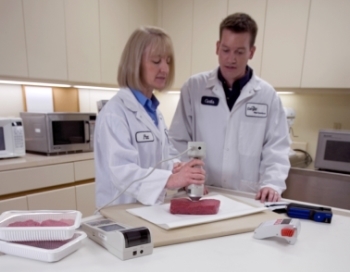 WINNIPEG – Cargill’s Value Added Meat businesses in London and Jarvis, Ontario, and Spruce Grove, Alberta, will accept the 2014 Canada Order of Excellence for Quality award from Excellence Canada in Toronto on Oct. 30, 2014. “This is one of Canada’s most prestigious honours presented to a business, so we are quite excited to have been recognized with this award following Excellence Canada’s visit to our site in June,” said Derek Schoonbaert, managing director, Cargill Value Added Meats. “Every day, our employees demonstrate incredibly high standards of work, so I am proud to see their unwavering commitment being recognized by Excellence Canada,” he added. Founded in 1992 by Industry Canada, Excellence Canada is an independent, not-for-profit, organization committed to advancing organizational excellence across Canada. This is the second time Cargill has received an award from the organization. In 2011, Cargill received a Gold Trophy for Quality. Again this year, Cargill is being recognized in the Quality category. This recognition is based on a comprehensive and thorough review of all aspects of its organizational practices including: leadership, strategic planning, customer focus, stakeholder engagement, process management, supplier focus and organizational results. “It’s a significant accomplishment for our business to be recognized from external sources for practices we do every day. We are thankful for our employees and their commitment to continuous improvement, and to setting high standards for performance in all aspects of our organization,” said Schoonbaert. Headquartered in Winnipeg, Cargill Limited employs more than 8,000 people in Canada, from British Columbia to New Brunswick. In addition to its diverse agricultural businesses, Cargill’s Canadian interests include enterprises in the food, manufacturing, financial and risk management industries. For more information, visit www.cargill.ca.